John Deere continues to provide best-in-class vegetation management with the addition of the MH60D mulching head to its Worksite Pro lineup. 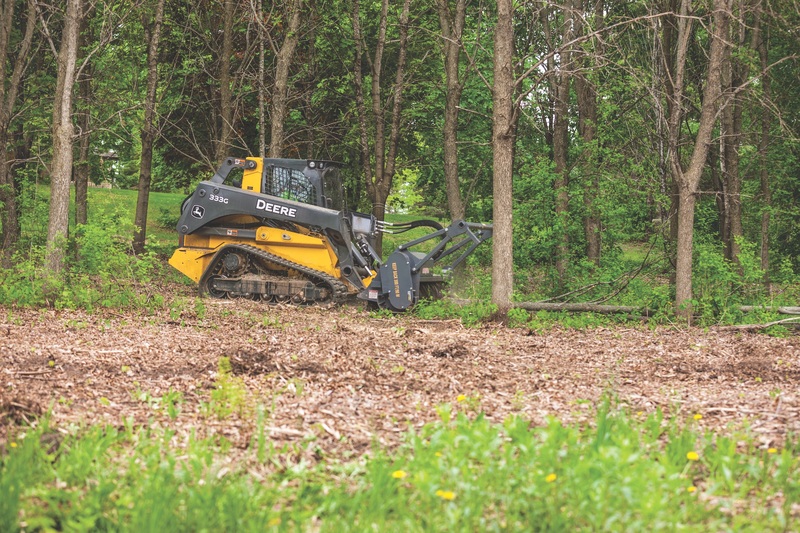 Designed to remove 8-inch (203-mm) trees and 12-inch (305-mm) stumps with ease, the MH60D model shreds underbrush and woody materials into beneficial mulch in minutes. 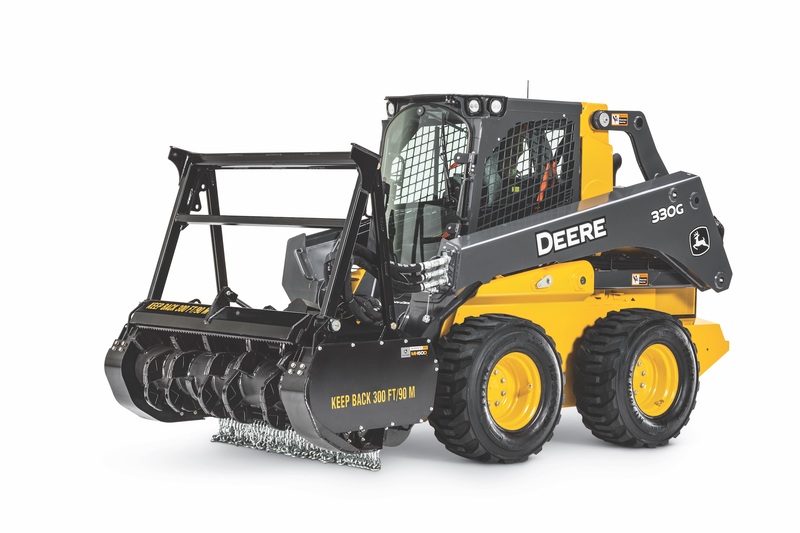 Like all Worksite Pro attachments, this mulching head is optimized to work with John Deere skid steer loaders and compact track loaders, as well as most competitive models. Delivering superior large-material knockdown, the MH60D also works well below soil level for chewing out difficult stumps. A two-speed hydraulic system efficiently uses available horsepower. When the preset pressure level is attained, the motor automatically shifts to a higher displacement, increasing torque for reduced stalling and faster rotor-speed recovery time. A prominently positioned pressure gauge allows operators to easily monitor hydraulic operating pressure. The mulching head was developed to deliver exceptional job site performance. A 1,524-mm (60-inch) high-capacity, smooth rotor design reduces material drag and horsepower requirements. The rotor is balanced for smooth operation, and oversized 64-mm (2.5-inch) sealed rotor bearings deliver long-term durability. A redesigned mulching chamber enables more efficient material flow and reduces wear points for optimized shredding performance. Internal counter-combs help shatter incoming material, creating finer mulch. Optional knife tools allow smoother cutting and finer chip size. For added durability, the attachment’s three-position heavy-duty push bar helps protect the carrier while toppling tree or brush. The door cylinder inside the frame body is better protected, while the enhanced frame construction and bolt-on skid shoes reduce debris buildup, extending wear life. The new mulching head attachment is backed by John Deere parts, service and warranty coverage. To learn more, visit www.JohnDeere.com or contact your local John Deere dealer.